As we head into the new year, most of us spend some time thinking about the past year and dreaming about what the new year could be—what we want to accomplish, what we hope for those we love, and how we will rededicate ourselves to spending time with God. 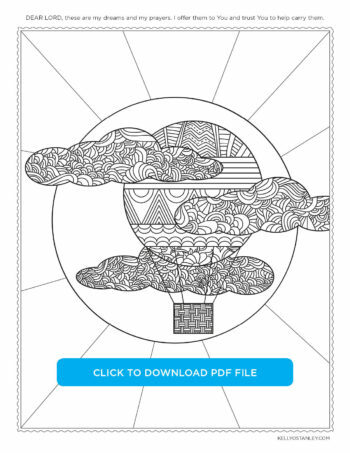 Today, print this coloring page and let yourself dream by writing your dreams, hopes, and prayers in the sections around the coloring image. If you’ll share some of your hopes in the comments below, I’ll pray with you. 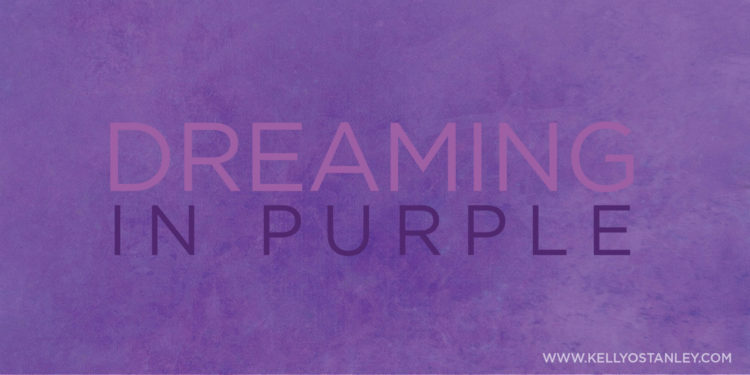 PURPLE: With the energy of red and the integrity of blue, purple (also called violet) represents imagination and dreams, a link between the physical and spiritual. Ambitious and self-assured, violet shows creativity and imagination, inspiration and originality, and traditionally has been used to depict royalty. Ruler of All, Your originality and creativity are unending. You’ve given me the ability to dream big and without limits. But no dream I have will ever fulfill me if You’re not the One inspiring it, the driving force and the creative energy behind it. Help me to see that You really are in all things. Just as purple is the combination of these two colors, You are both the passion and love of red and the stability and strength of blue. You provide imagination and desire. Help me dream, Lord, with the magnitude and vision befitting of a child of the King of kings. Let Your dreams for me become my own. And provide all that I need to make them come true. Amen. Purple is my favorite color, and I love this dreamy theme. Your prayer is beautiful too. My hope is to glorify God in my writing pursuits this year, in a brand-new way.